Recently, I noticed that installing .Net Framework on Server 2012 R2 is not very straightforward. When I got the below error I started looking around. I found this blog, which does a beyond great job demonstrating utilizing the GUI. However, if you want to use PowerShell or don’t have a GUI (I don’t know if you can install .Net w/o a GUI though), I found the commands to do so. and got the following results. 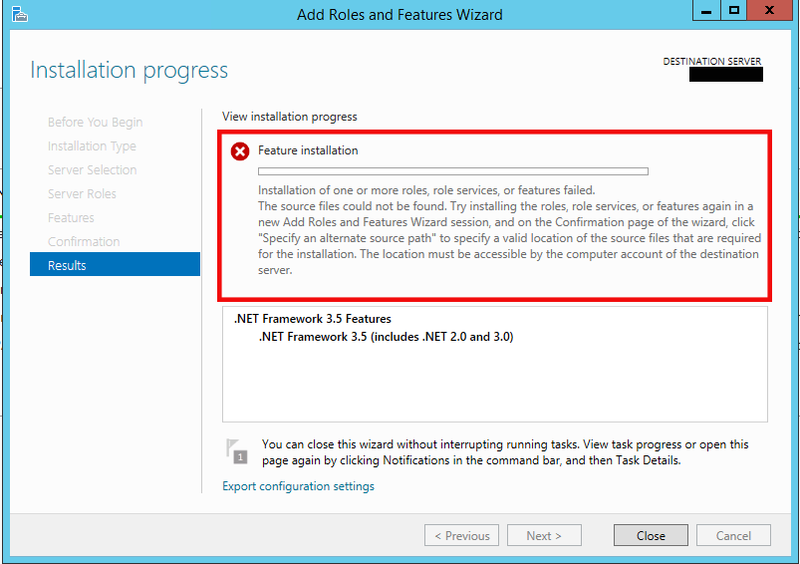 Since the Role of “.Net Framework 3.5 Features” was not selected, nor were any of the features, the role has not be installed. This failed. If you notice from the below error, the installer cannot find the right files locally on the machine. So, in order to fix this, we have to insert the installation DVD (mount the ISO if virtual) and specify the path. This will verify the needed .Net Framework 3.5 actually installed. 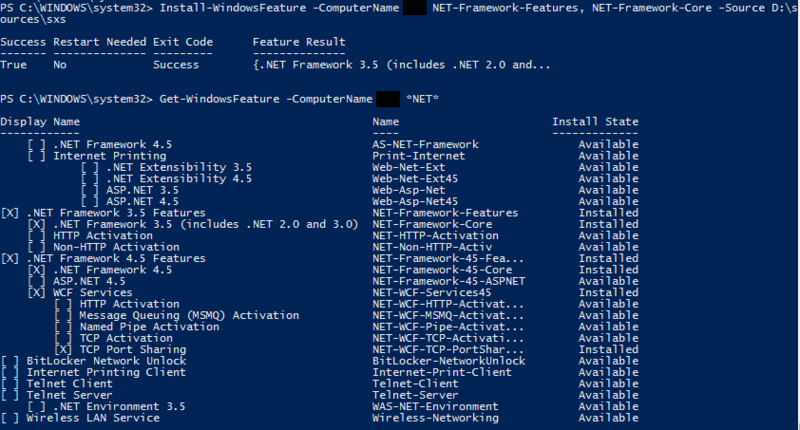 ***UPDATE – you CAN install .Net Framework 3.5 on server core.